Welcome to the first Virtual Reality Fair San Francisco. • Understand the market, opportunities and get your hands on the latest Virtual Reality hard- and software. • Find fellow enthusiasts, make connections, exchange thoughts and get feedback for your ideas. • Discover career opportunities and learn what it takes to get into VR. • Support young VR companies to take the leap and connect them with users. • Help people experience VR, learn what it's all about and where the market is going. 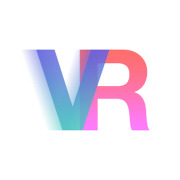 • Grow the VR community in the Silicon Valley.